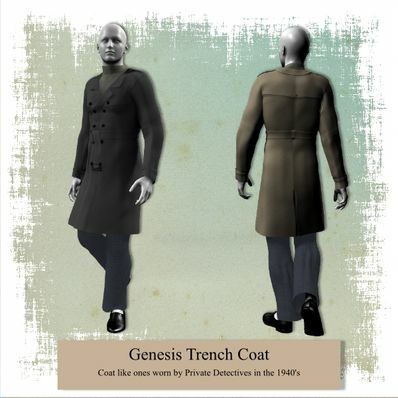 A Trench Coat for Genesis for use in Daz Studio 4. Trench coat like the 1940's Private Detectives wore. Thax very much that u offers this free-of=charge=service! Very nice collections! Been looking for something like this. Making an animation. This will be the start of the coat by the evil and powerful Domino. Thanks.